WASHINGTON, Aug 20 2014 (IPS) – The U.S. and Brazilian governments are moving into the final stages of weighing approval for the commercialization of genetically engineered eucalyptus trees, moves that would mark the first such permits anywhere in the world. The Brazilian government is slated to start taking public comments on such a proposal during the first week of September. Similarly, U.S. regulators have been working on an environmental impact assessment since early last year, a highly anticipated draft of which is expected to be released any day. Despite industry claims to the contrary, critics warn that the use of genetically engineered (GE) trees would increase deforestation. The approvals could also spark off a new era of such products, which wouldn’t be confined solely to these countries. “If Brazil and the United States get permission to commercialism these trees, there is nothing to say that they wouldn’t just export these products to other countries to grow,” Anne Petermann, the executive director of the Global Justice Ecology Project (GJEP) and the coordinator of the Campaign to Stop GE Trees, a network that Wednesday announced a new global initiative, told IPS. While the United States has thus far approved the use of two genetically modified fruit trees, the eucalyptus is the first GE forest tree to near release. Similar policy discussions are currently taking place in the European Union, Australia and elsewhere, while China has already approved and is using multiple GE trees. The eucalyptus is a particularly lucrative tree, currently the most widely planted hardwood in the world and used especially to produce pulp for paper and paper products. In the United States, the trees would also likely be used to feed growing global demand for biofuels, particularly in the form of wood pellets. In 2012 alone, U.S. exports of wood pellets increased by some 70 percent, and the United States is today the world’s largest such producer. U.S. regulators are currently looking at two types of eucalyptus that have been genetically engineered to withstand frosts and certain antibiotics, thus allowing for plantations to be planted much farther north. 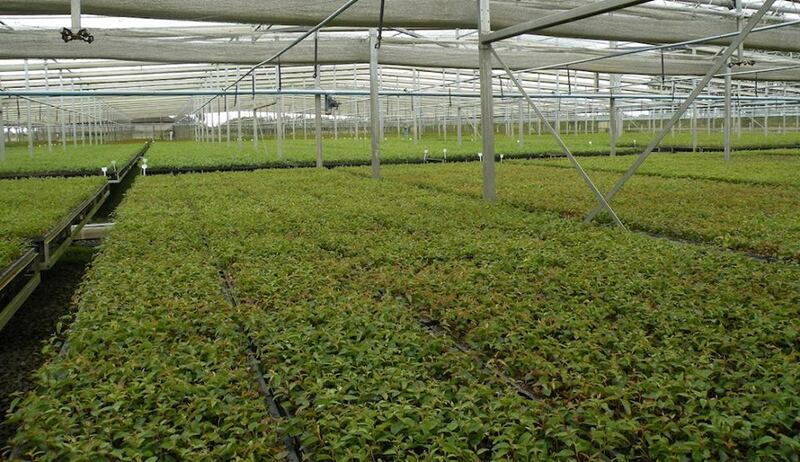 The company requesting the approval, ArborGen, says the introduction of its GE seedlings would quadruple the eucalyptus’s range in the United States alone. ArborGen has estimated that its sales could see 20-fold growth, to some 500 million dollars a year by 2017, if GE trees receive U.S. approval, according to a comprehensive report published last year by the Washington-based Center for Food Safety. Likewise, Brazilian analysts have suggested that the market for eucalyptus products could expand by some 500 percent over the coming two decades. Yet the eucalyptus, which has been grown in conventional plantations for years, has been widely shown to be particularly problematic – even dangerous – in monoculture. The eucalyptus takes unusually high levels of water to grow, for instance, and is notably invasive. The trees are also a notorious fire hazard; during a devastating fire in the U.S. state of California in the 1990s, nearly three-quarters of the blaze’s energy was estimated to come from highly combustible eucalyptus trees. In addition, many are worried that approval of the GE proposals in the United States and Brazil would, inevitably, act as a significant boost to the monoculture plantation model of production. “This model has been shown to be very negative for local communities and nature, expelling and restricting the access of people to their territories, depleting and contaminating water sources – especially in the Global South,” Winifridus Overbeek, coordinator of the World Rainforest Movement, a global pressure group, told IPS from Uruguay. Despite the rise of digital media over the past decade, the global paper industry remains a behemoth, responding to demand for a million tonnes of paper and related products every day. That amounted to some 400 million tonnes of paper used in 2010, according to the World Wildlife Fund, and could increase to 500 million tonnes per year by the end of the decade. A key argument from ArborGen and others in favor of genetically engineered trees, and the plantation system more generally, is that increased use of “farmed” trees would reduce pressure on native forests. Indeed, ArborGen’s motto is “More Wood. Less Land”. Yet as the world has increasingly adopted the plantation approach, the impact has been clear. Indonesia, for instance, has allowed for the clear-cutting of more than half of its forests over the past half-century, driven particularly by the growth of palm plantations. According to U.N. data, plantations worldwide doubled their average wood production during the two decades leading up to 2010. But the size of those plantations also increased by some 60 percent. “While it sounds nice and helpful to create faster-growing trees, in reality the opposite is true. As you make these things more valuable, more land gets taken over for them,” GJEP’s Petermann says. In June, more than 120 environmental groups from across the globe offered a vision on comprehensive sustainability reforms across the paper sector, traditionally a key driver of deforestation. That document, the Global Paper Vision, encourages users and producers to “refuse fibre from genetically modified organisms”. “Theoretically, arguments on the benefits of GE trees could be true, motivated by increasing competition for wood resources,” Joshua Martin, the director of the Environmental Paper Network (EPN), a U.S.-based umbrella group that spearheaded the vision document, told IPS.